Hi everyone I hope you are staying warm. This month my dancing granddaughter has a birthday. She loves to dance and loves wearing a tutu and her ballet slippers. In fact if her mother doesn't pay attention she will wear them to school. Lol! This is the card I just finished today. For the background of this card I was experimenting to see if I could tie dye with my eBrush airbrush. 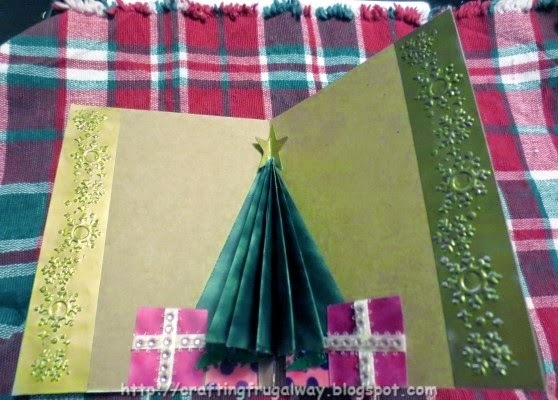 It did not work but being the frugal crafter I am I went ahead and finished eBrushing all of the tissue paper which has sequins. 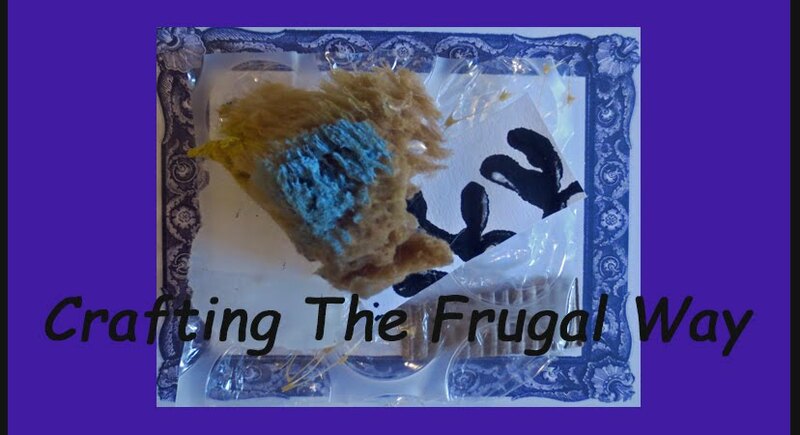 I then went and glued the tissue paper to a piece of cardstock which I had covered with a piece of kitchen foil. 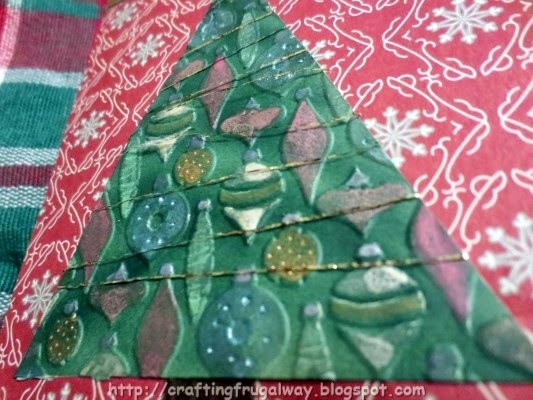 I could not find my paper doilies but did find one which I had tried to stamp on but didn't like. 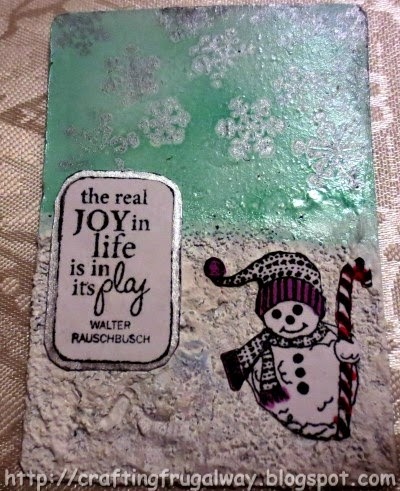 I've been using it on my gelli plate but thought I could go ahead and use it for a stencil. 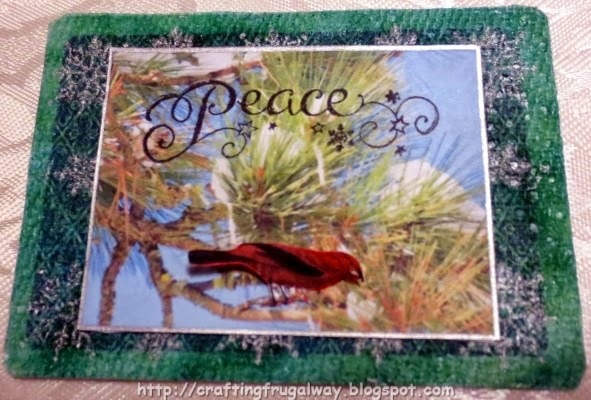 I used re-positional glue in order to affix the doily down on my cardstock before using my eBrush. I used two different turquoise markers. I found this tutu image while searching for free clipart and thought it would make a fun card for my little dancer. I turned it into a print and cut. The ballet slippers was a free rhinestone file from the Silhouette store. I went and traced it in Studio. Then filled in with color and a pattern, Before printing it I made sure the inside of the slippers was not set to cut. After I got it cut I didn't like how they looked so I went ahead and colored the outside of the slippers with a glaze pen. Then I used Liquid Pearls to dress them up.. 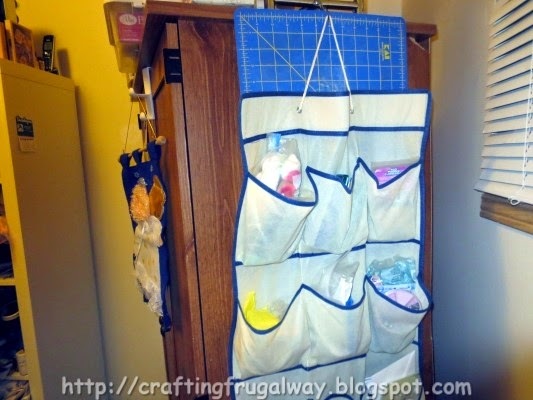 I slipped the slippers on the hook of the hanger and pop dotted the tutu onto the card. I used a metal embossing folder for the Happy Birthday. 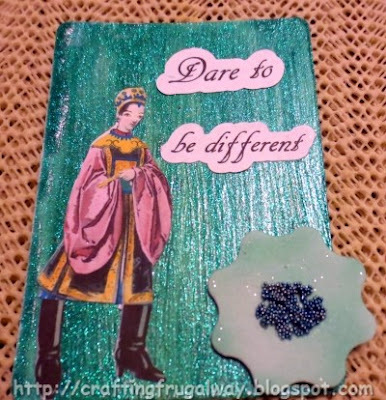 I had been playing with markers on the folder and had not cleaned it off good so some of the colors transferred to my embossing giving a speckled look. 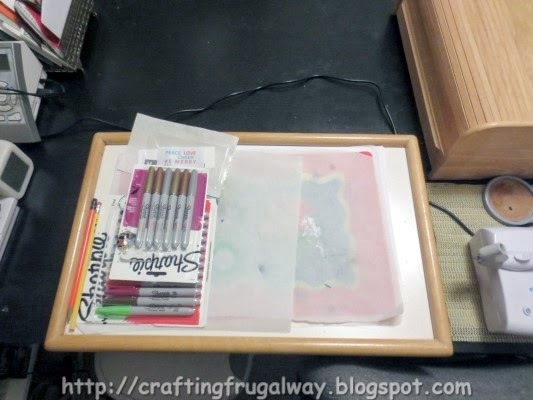 I then using my eBrush with the pale lavender marker I had used on the tissue paper. Then I hand cut around the Happy Birthday instead of leaving it a rectangle. I hope my Diva Dancer will like her birthday card. Now I need to start on this week's altered playing card challenge. 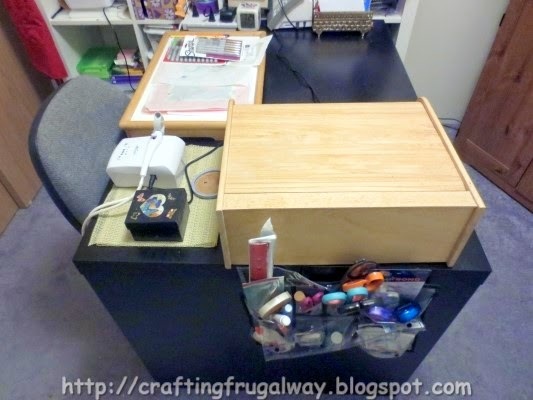 This week it is a 'tough one for me because it is thinking outside the box. Hi everyone another weekend is here and believe it or not the holidays will be here before we know it.. Don't kill the messenger but there is only six more weekends before Christmas and they will fly by fast. 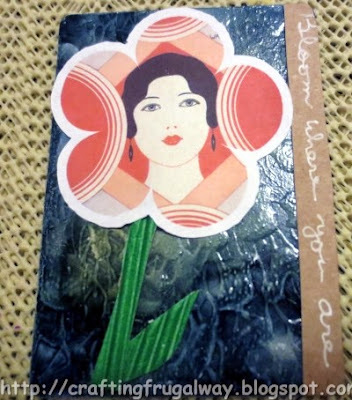 The card I made this week is not a fifteen or thirty minute card so it is not one which I would be making a lot of to give out. It was fun to make though. 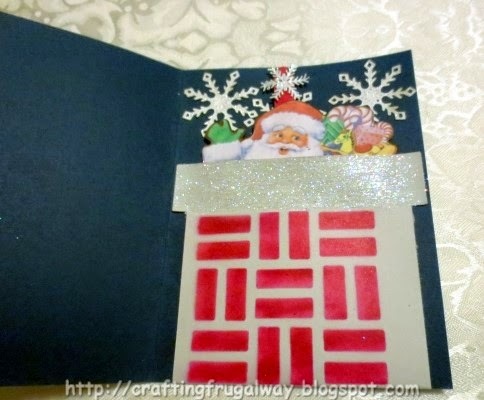 I had seen the card in a book and decided to put my own spin on it using the basic idea of the popup circle snowflakes. I airbrushed the embossed panel first. Then embossed using a Darice embossing folder. 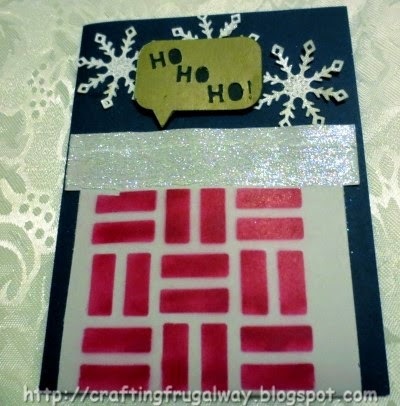 Then heat embossed with Winter Wonderland Recollection embossing powder. 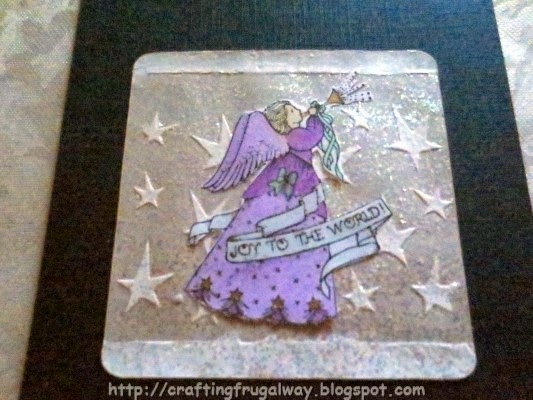 Over that I used clear embossing enamel which although it doesn't really show in the photo gives a pebbly icy look. For the snowman panel I masked off with painter's tape and then airbrushed in my sky. Took the tape off and stamped and then carefully airbrushed in any white spaces. I then colored in with Prismacolor markers the small details. Then I used glaze pens for the buttons and for the carrot noses to add some dimension.As you can tell it is pop dotted on the embossed panel. For this part of the card I took my basic card base and added cut lines to make the pedestals the snowflakes would be adhered to. The snowflakes were a weekly free file from Silhouette. I added a circle behind so that the pedestals would not be seen. 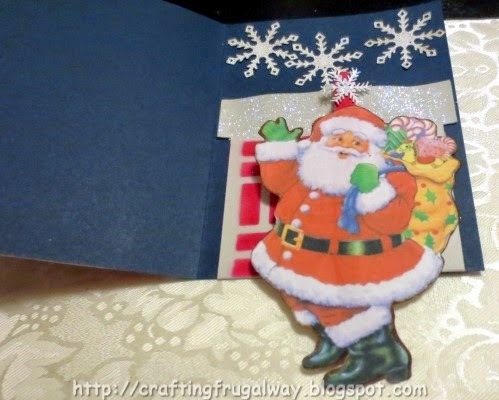 They are cut out of a silver paper and the snowflakes were heat embossed with winter wonderland powder. The photo doesn't do them justice. 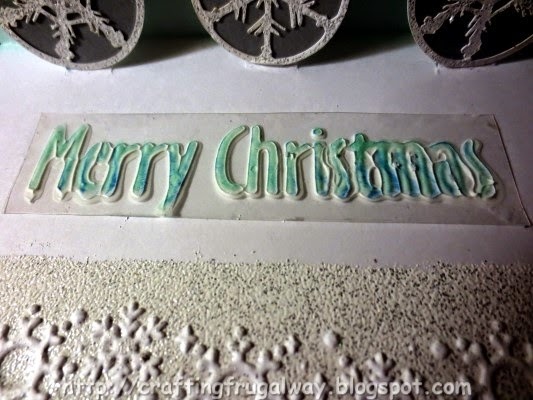 The Merry Christmas is texture medium used with a brass template on plastic. After it dried I airbrushed it. This was an experiment to see if the texture medium would work on plastic as I have some stencils which would make nice embellishments. Plus I now know I can cut shapes out of plastic and use the medium on them. 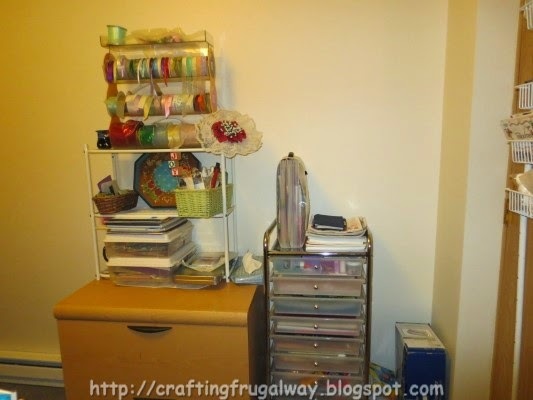 The bottom border is a retired Sizzix border folder. 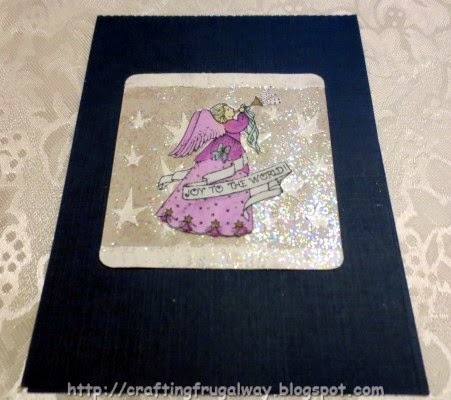 I used embossing ink on the folder and then ran the card base through my eBosser. Then heat embossed once again with the Winter Wonderland. I masked the bottom portion of my card base as I didn't want to get any spray on it. 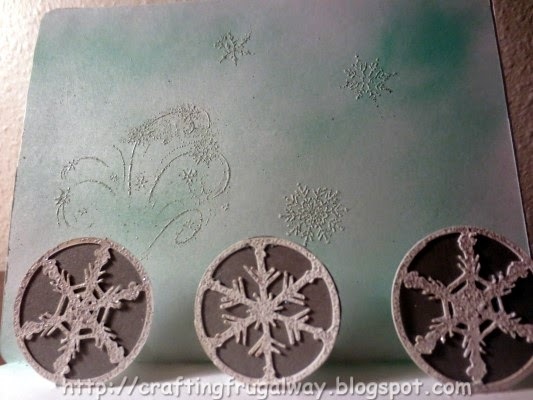 Then stamped my snowflakes with embossing ink. 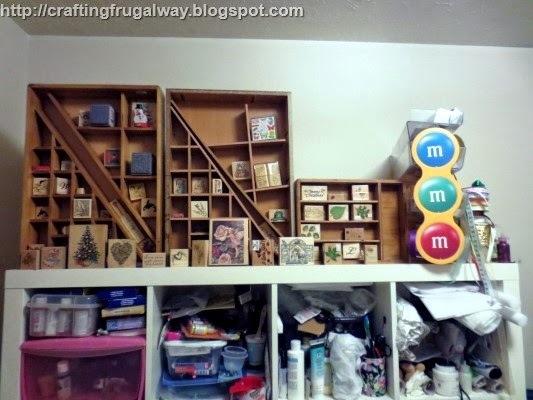 I'm not sure who the stamps are by. Then I airbrushed my sky. All that was left was adhering everything together. 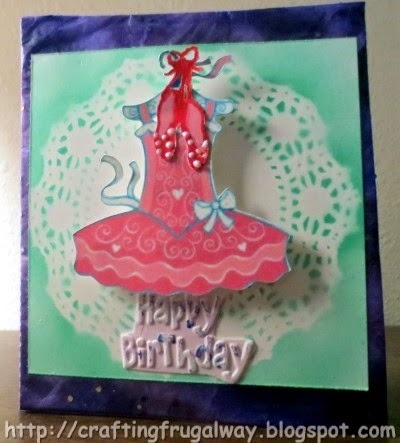 Hint: If you make a card like this make your inner base a little smaller than the outside card base. I had to do a little bit of hand trimming after the two pieces were adhered together. Now my only problem is who to give this card to. I'm already having a difficult time to decide which card to send my sister. I may have to close my eyes and then point a finger to one. I know some areas have already had snow. Have you had snow yet? Are you ready for the cold? I went to a consignment shop with the cute name of Cranberry yesterday. I was in search of jeans since mine are holey. L0L! I found a lot of jeans there in the same condition and they were pretty much brand new. I did find a flannel lined pair of jeans. Wish they would have had more than the one pair that fit. My pet peeve is that women's jeans are usually made of such lightweight denim unless you want to pay a lot of money. 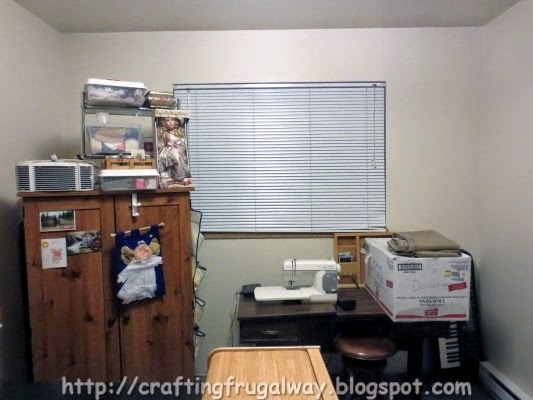 Off to work more on my craft room. 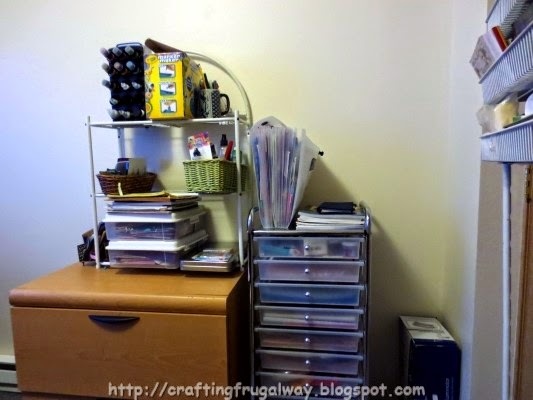 It is more organized and less cluttered. 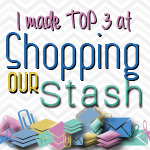 Especially since I've been either putting in storage or donating non craft items. 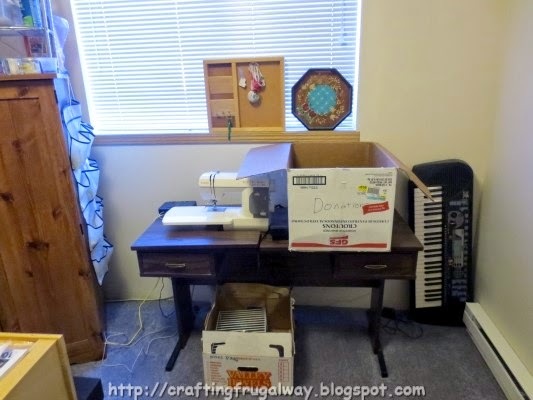 I even have my "demon" sewing machine set up. Now to see if I can tame him. If not then I'll take him over the my daughter'in-law with the manual and see what I'm doing wrong. I just can't seem to get the tension correct. 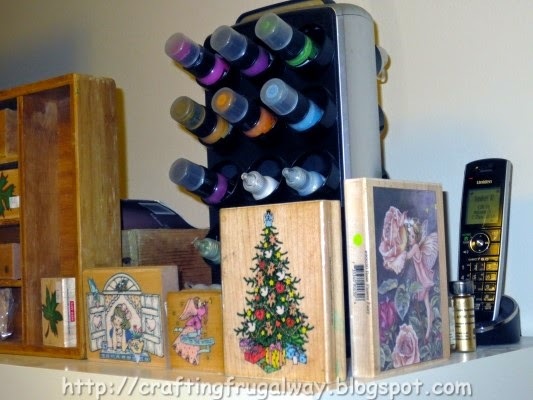 Hi everyone it is Tuesday and yesterday was the start of a new challenge for altered playing cards. Even though we are now in week nine you can still join in the fun just click on the icon on the right side. 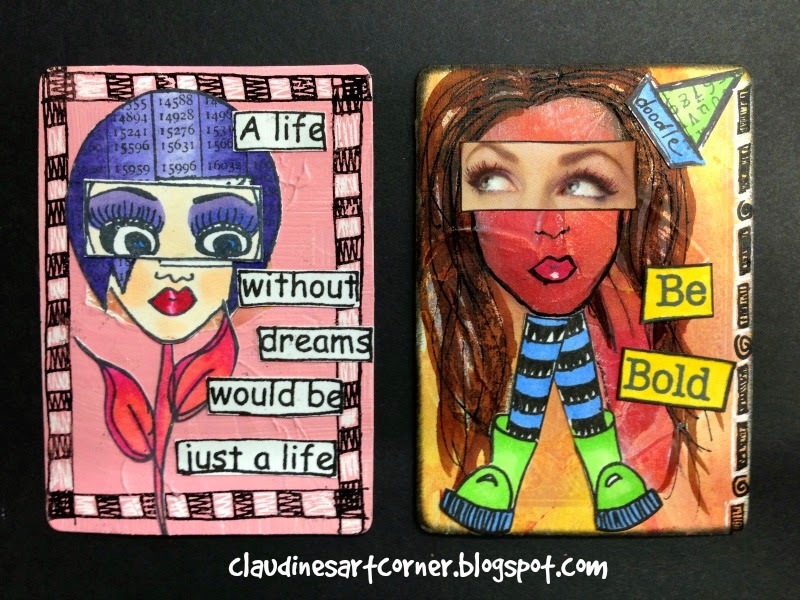 This week the challenge was to do one card in bold, vibrant colors and another in more subtle colors using the same color families. Lol! My challenge ended up being how to salvage things without starting all over. Lol! I probably should have taken some pictures of my messes and then you would appreciate the final outcome as they were a mess. I wasn't sure I could salvage the second card.. 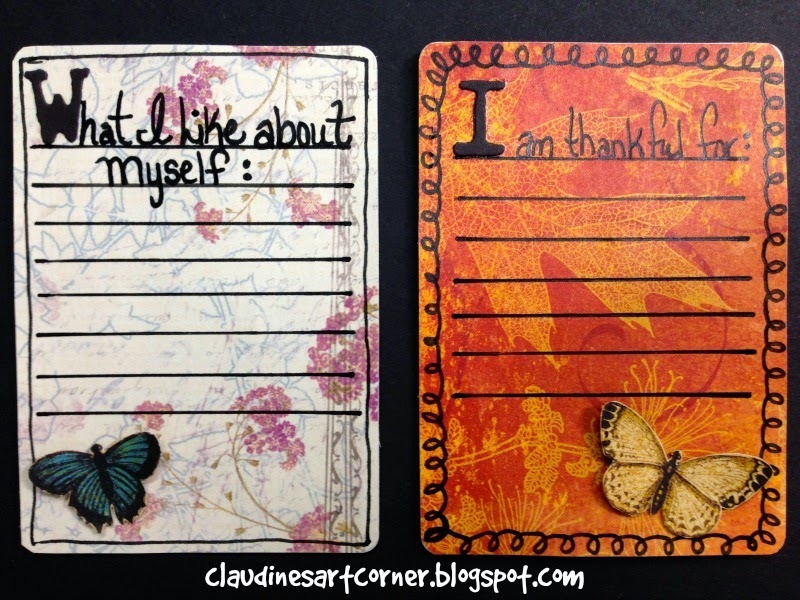 Here is Claudine's cards. 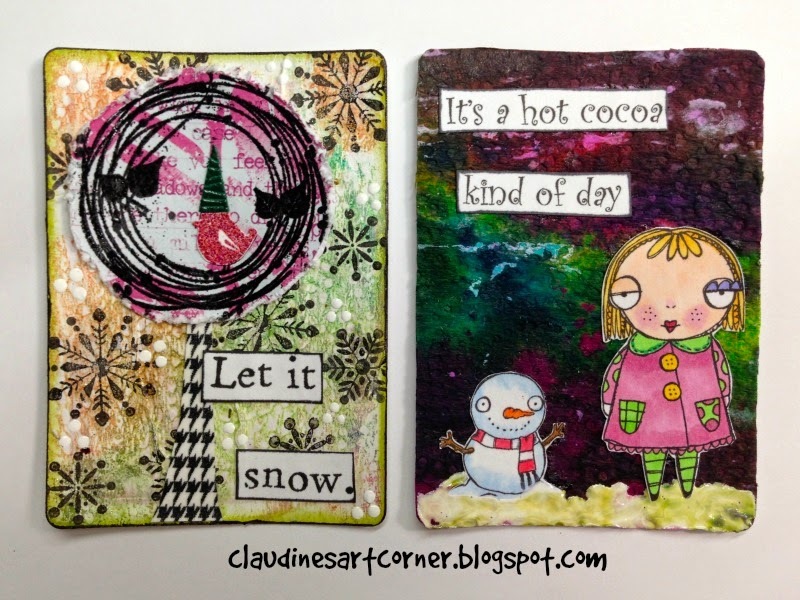 Claudine had drawn circles in her gesso During prep of the cards I had used gesso with a circle stencil on a card. I love how some of the card background shows through. I airbrushed with yellow and green. It was really looking nice until I decided to airbrush the smaller circles with orange using a Sharpie. The ink splattered and dripped making a mess. I went and used an alcohol blender marker. Then airbrushed again with yellow and green. It wasn't vibrant enough so I used neon markers and colored the circles by hand. I had to keep cleaning the markers on scratch paper but I like the effect on the smaller circles I got by coloring in circles. I then stamped with Ranger's Archival black ink my flowers in the larger circles. Used a white gel pen to make dots in the centers and then colored the petals with a yellow glaze pen. I took a black sharpie and scribbled around the orange smaller circles. Then printed out my quote and cut it apart. This card I prepped using gesso and foil. The crumpled foil left pits when I removed it. I thought it would be perfect for this card. 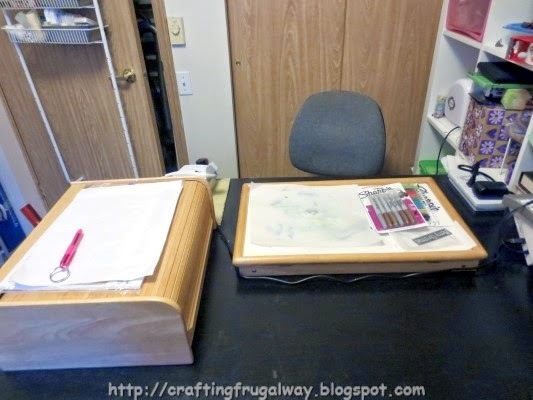 I didn't have Antique Linen distress paint so I used the ink. However, it still looked too white to me so I went and used Wild Honey Distress paint on it. 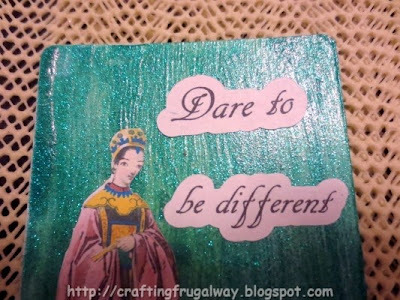 I then took a stencil by DCWV named "Tiles" and used a portion of one of the stencils. I used a sponge dauber and Peeled Paint Disterss ink. Then I took a bristle paint brush I had dipped in water and splattered water. I then with markers inked up just the large poppy on a Hero Arts rubber stamp. Stamped on my card. The definition wasn't that good so I drew around with a black sharpie. I had also gotten a smudged line with the stem. Which I was able to cover up with the marker. I didn't really like how the background showed through so I took an alcohol blender marker and that is when things got messy.. Opps! Alcohol Blender markers and Sharpies don't play well. The black bled and made a big mess around the poppy. I kept playing with the alcohol marker until it looked more presentable. (I did learn that using a fine point on the blender pen I can get a soft blurred effect) I then took my finger and wild honey distress paint and covered some of the gray. softening it more. I then masked everything but where the poppy had been and re-stamped it . At this point I went and watched television thinking that I was going to start over when my show was over. However, when I came back to the craft table it didn't look all that bad. The fairy is one from a CD I had at one time which had different costumes and different fairy bodies which allowed you to custom design fairies. After printing and cutting her I colored her with Prismacolor markers and her outfit with a green metallic pencil. Or at least the pencil said it was green but it looks blue to me. She is pop dotted on the card. 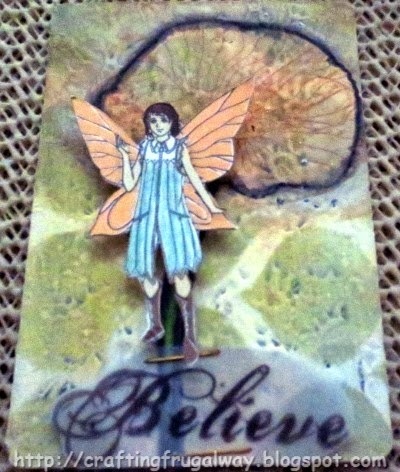 The Believe is from a Fancy Pants stamp set. 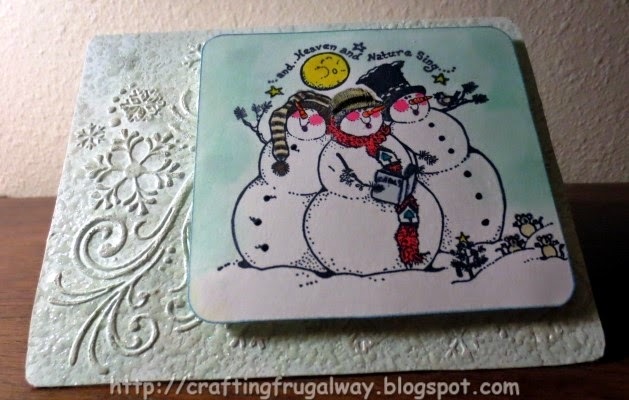 I stamped it on vellum with Ranger's Black archival ink and then cut it out free form. I decided to staple it on the card but not sure that I like how it turned out. 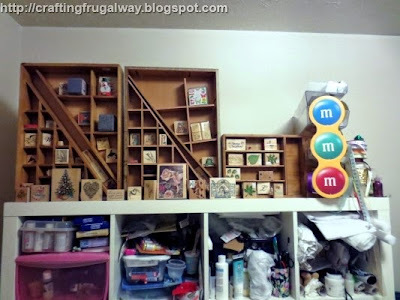 I did not realize for one thing that the staples were so big as I have never used my stapler with color staples. Oh the shame! 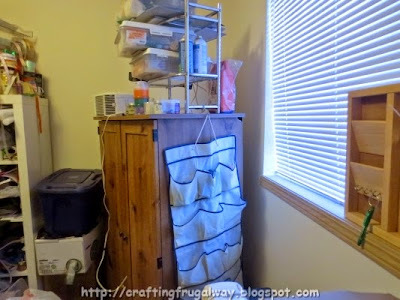 I challenge you to create a project using vibrant colors if you usually use subtle colors and to create a project using subtle colors if you usually use vibrant colors. 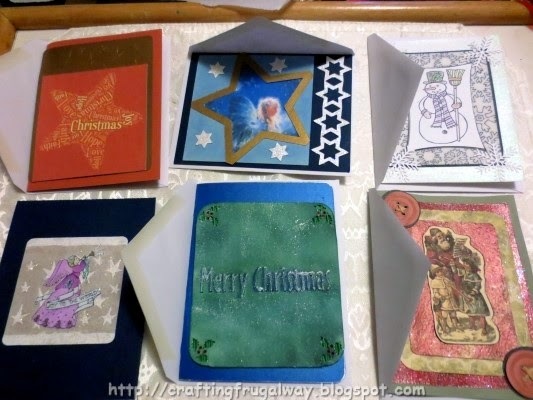 If you are into card making you might even want to make the same version of the card. One vibrant and the other subtle. 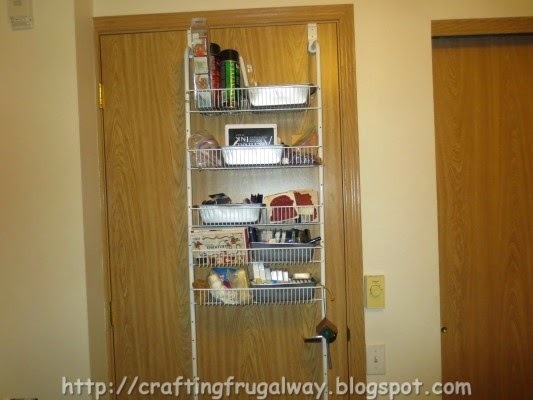 O.K I'm off to work more on my craft room. I've been told to clean it up so I'm working on it. 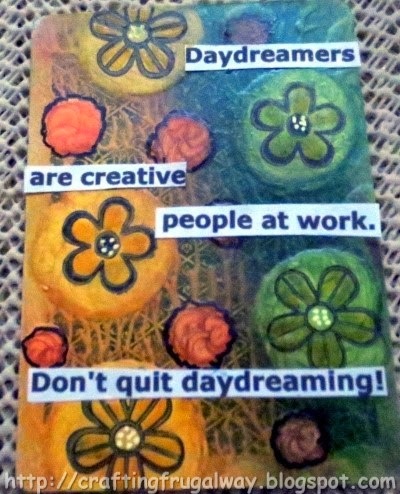 *sigh* non-creative people don't realize that most of us creative types need some chaos to help us create. As long as there is nothing flammable by the heater and nothing which will topple over and bury me I don't understand all the fuss. 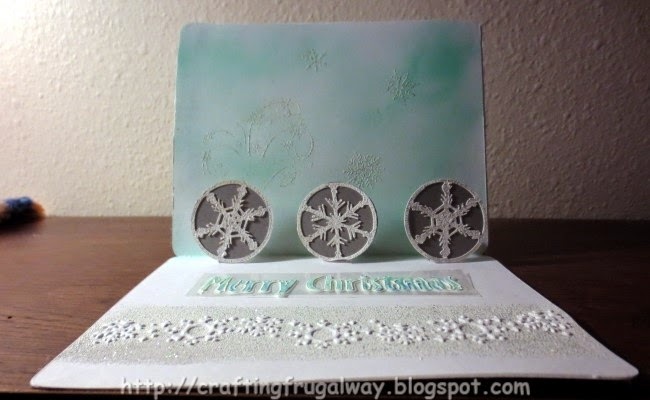 I will be back with another card as I just bought a snowflake embossing folder I can't wait to use. Hi everyone! For those of you who just went off of daylight savings time did you enjoy your extra hour? I decided to go ahead and post this card I just finished. 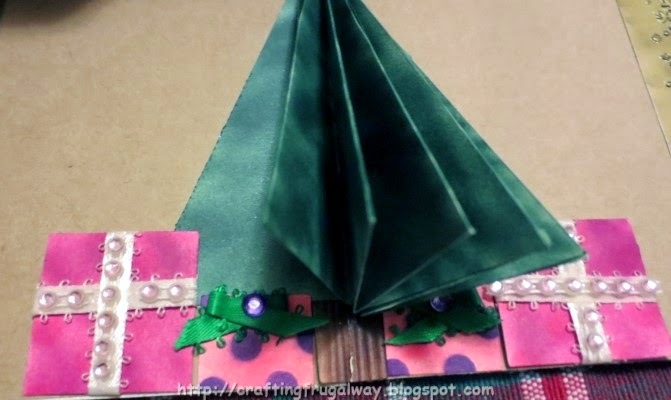 When I saw in a book an accordion Nativity card I knew I wanted to make one. 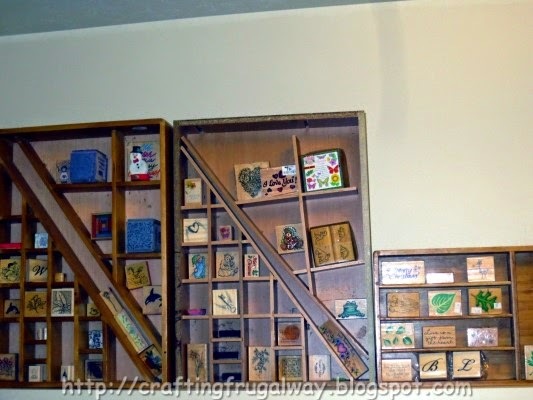 I didn't have the stamps used but I knew that I could probably find online some clipart which would work. I already had the sweet angel I used. 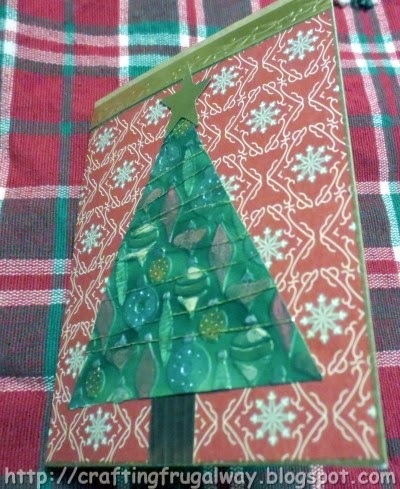 I placed twine on front of the card base before adding my background paper. The twine is to tie the card shut. For the background paper which I used both on the front and inside I used an eBrush with a Sharpie marker. 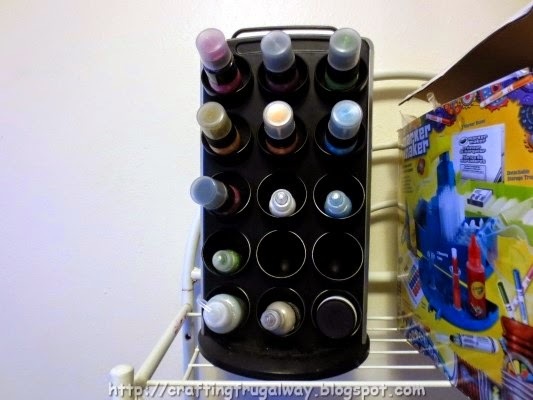 I discovered if the Sharpie is too far in the holder you will get a splattered effect. Then I went and used aquamarine metallic watercolor paint over the marker color. I used Spangles for the stars. The only bad thing was that glue had a tendency to come through the hole. I wrapped twine around my tag before adhering it. The angel is pop dotted. 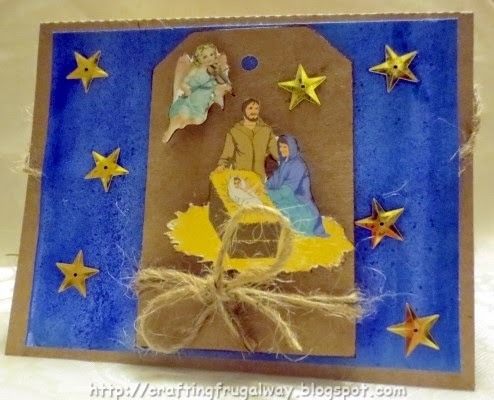 I made the "Holy Family" smaller than inside as I originally was going to use two tags on the front but changed my mind after not having room on the scrap of Kraft paper to cut out a narrower tag. 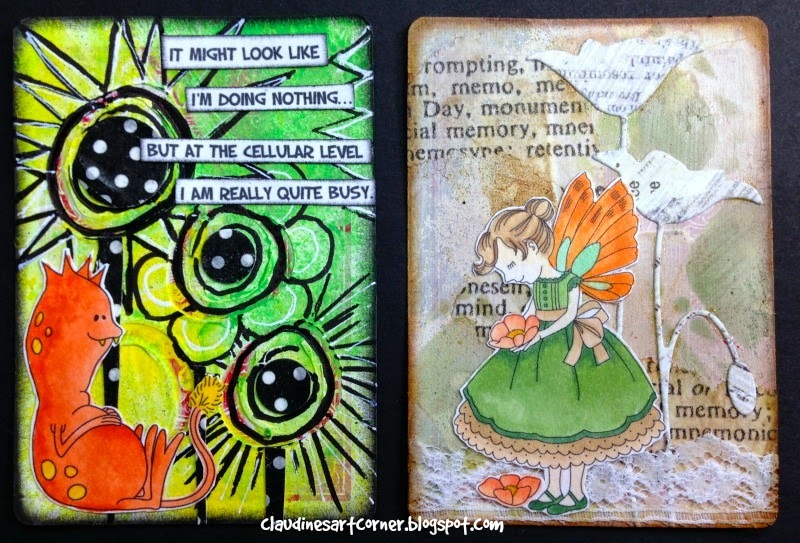 I used the card base from a balloon accordion card file which Debbie at Paper Pulse had shared. a couple of years ago. Except for the shelter which I drew in Studio everything is a print and cut. 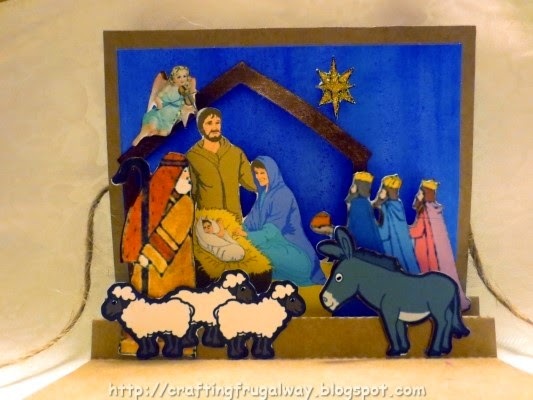 I did add glitter to the star and black glaze pen to the eyes of the donkey and sheep. Now to show this to my oldest granddaughter to see if she wants me to print and cut the images so she can make her own card. Too bad I don't have a mantle as this would be cute sitting on a mantle. 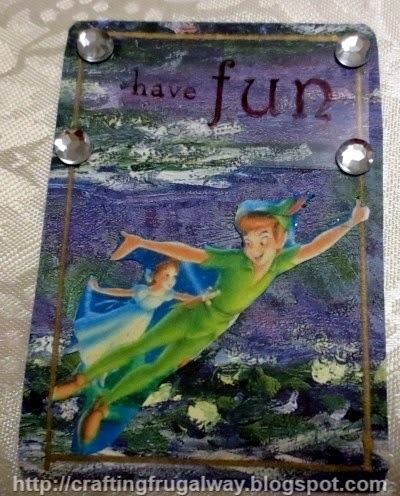 Of course you could make any scene you wanted using an accordion card base. 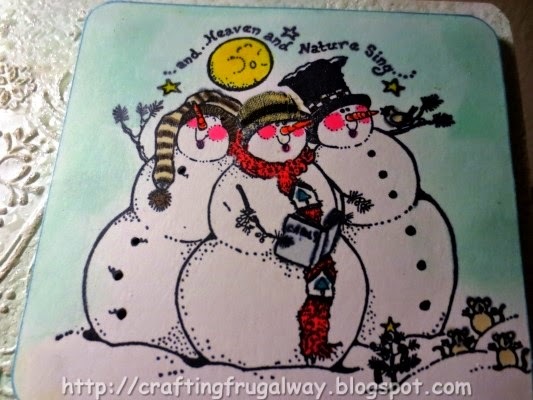 It might be fun to create a winter scene.